Enter the website to discover how Ken Harris & Associates can assist you with all of your CPA needs! 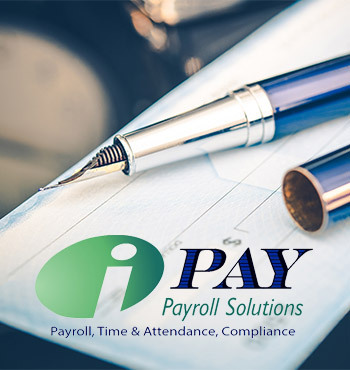 Enter the website to discover how iPay Payroll Solutions can assist you with your payroll needs! Whether you're looking for tax help or your a small business in need of multiple accounting services, we're here to help. We provide each of our clients with personalized service tailored to fit your situation and specific needs. Ken Harris and Associates is your gateway to worry free accounting services. Our CPA bookkeeping services are nearby Melbourne FL, Palm Bay FL, Merritt Island FL and surrounding communities. We provide a wide range of trusted services that help the small business flourish. Our small business accounting services give you the ability to focus on your core business responsibilities. You can rest assured that your bookkeeping is being taken care of by a professional experienced staff. You do not have to pay a full-time employee costs, you can opt to use a trusted service instead. You can benefit from our expertise and save while you get the focused services your business deserves. We help small business to keep costs down. 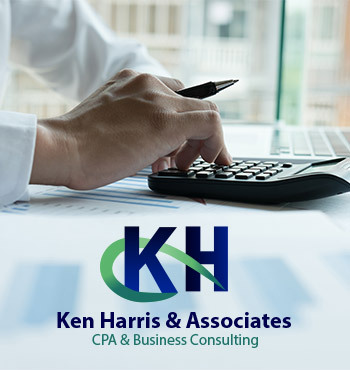 Ken Harris and Associates provides the cost-effective solution to your bookkeeping needs whether you need payroll support, tax preparation support or a full suite of bookkeeping and accounting services. If your payroll is driving you crazy, tax concerns making you mad or you just want to be able to grow your business with confidence, we have the ideal solution. You can get cost-effective bookkeeping support from a team of experts. We have the solutions that can be tailor fit to your business needs. Contact us to learn more about how Ken Harris and Associates can make bookkeeping and accounting worry-free! Our Certified Public Accountants and business counselors will help you to develop and implement highly effective strategies to cope with changes and navigate successfully through the complicated business world. We understand that you know your business better than anyone, which is why we genuinely prefer to build a solid relationship with all of our clients using our CPA and business consulting services. As a client, you will be able to sit down with one of our professionals and have a one-on-one discussion about the details of your business and goals. Our business counselors will identify opportunities for increasing your business’ efficiency and profitability, determine tax-saving strategies, and assist in managing your business’ growing pains to ensure that your business moves forward. Our accounting services are highly efficient and precise. Our CPAs offer you simplified monthly reports and statements so that you will get a quick and accurate view of your business activity. The monthly reporting includes monthly operating statements, balance sheets, bank reconciliations, and general ledger reports. iPay Payroll Solutions offers a wide variety of financial services for any business. Our payroll experts can take care of any and all of your payroll needs. This includes payroll processing, tax processing and reporting, State and Federal registries, regulatory compliance, customized time and attendance systems, pay-as-you-go worker’s compensation, and even employee background checks. Visit the services pages for more information on our specific payroll services. Why not just have us handle everything for you? With a part-time CFO from iPay Payroll Solutions, you will have more time to focus on new services, customers, and other core business issues. This will enable you to better understand the payroll side of your business so that you have more control over your hiring and labor costs with no more surprises! You will be able to rest easy knowing that a payroll specialist is overseeing, protecting and constantly improving these important aspects of running your business. For more information about our part-time CFO services, please call us today!